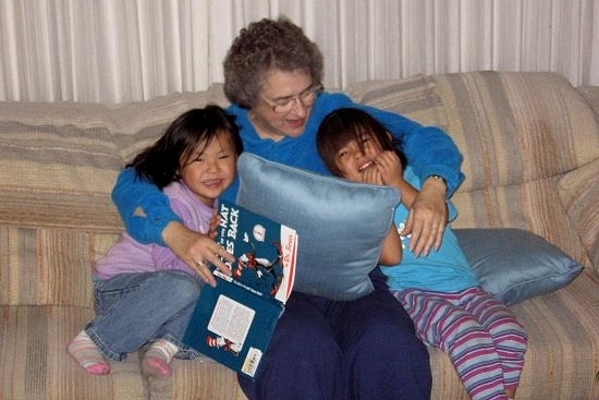 Here is a photo of me with my two granddaughters taken at Christmas 2007. Nina, on the left, was 5 1/2 when the picture was taken, and Maggie, then almost 4, is on the right. The girls' mother is Debbie Pieper Fulmer, also a Pomona grad, class of '93.